In the 1860s and 1870s, leading neurologists used animal experimentation to establish that discrete sections of the brain regulate specific mental and physical functions. These discoveries had immediate medical benefits: David Ferrier's detailed cortical maps, for example, saved lives by helping surgeons locate brain tumors and haemorrhages without first opening up the skull. These experiments both incited controversy and stimulated creative thought, because they challenged the possibility of an extra-corporeal soul. 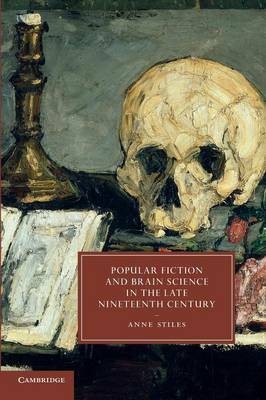 This book examines the cultural impact of neurological experiments on late-Victorian Gothic romances by Robert Louis Stevenson, Bram Stoker, H. G. Wells and others. Novels like Dracula and Dr Jekyll and Mr Hyde expressed the deep-seated fears and visionary possibilities suggested by cerebral localization research, and offered a corrective to the linearity and objectivity of late Victorian neurology.